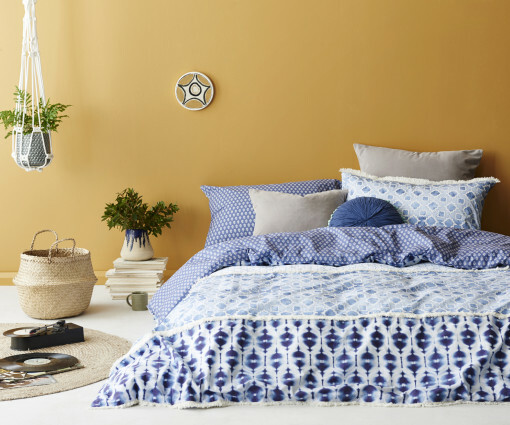 Transform your bedroom with bold bedlinen, one of the top trends in interior design for 2016. This is all about excess – think bold prints and patterns, bright colours, textures and details. 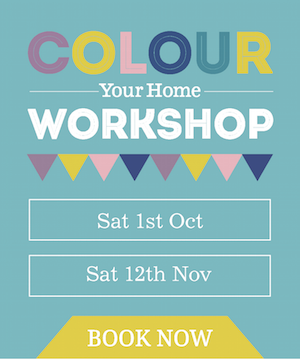 It’s never been easier to bring colour and pattern into your home, with a range of high-street and luxury options on offer. 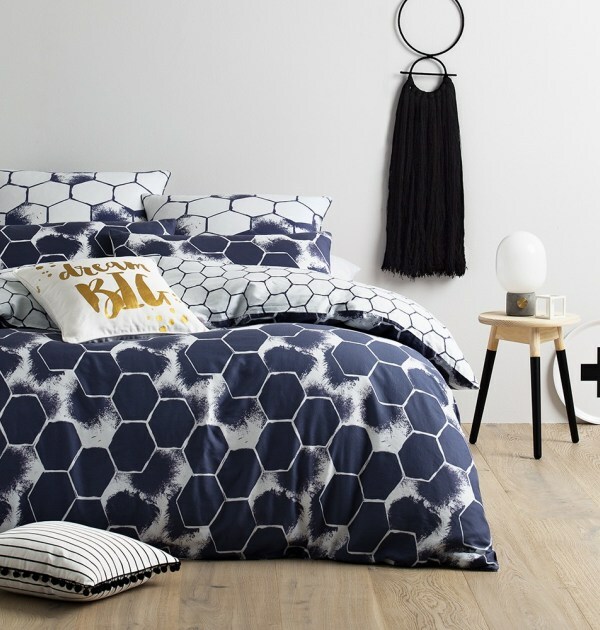 Below are our top picks for bringing bold bedlinen into your bedrooms. Hot off the press is interior designer Shannon Fricke’s latest range, Let’s Run Amok, inspired by a bohemian lifestyle, with a mix of exotic references thrown in. Her new range is dreamy and relaxed – perfect for those who like to keep things simple and casual. We’re particularly loving her Daydreaming quilt cover set, with beautiful indigo tones inspired by memories of her travels to Portugal. Florals are making a comeback and we can see this with the beautiful watercolour floral prints available in homewares and fashion. 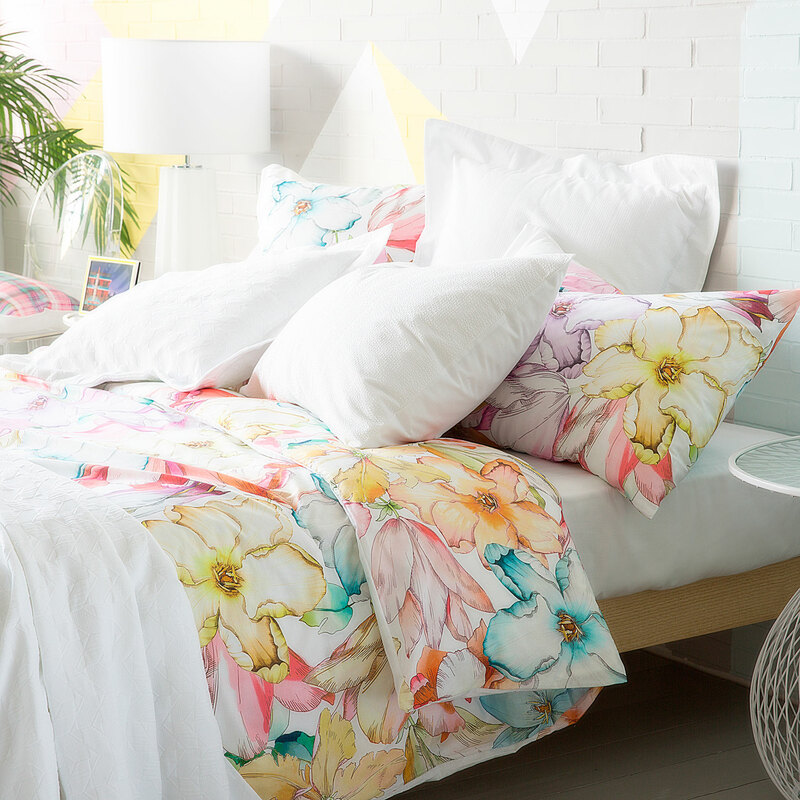 Embrace your feminine side with this stunning floral bedlinen set from Zara Home, and emphasise the colour with matching pillows, or even a cheeky flash of coloured sheets. Looking for something more dramatic? 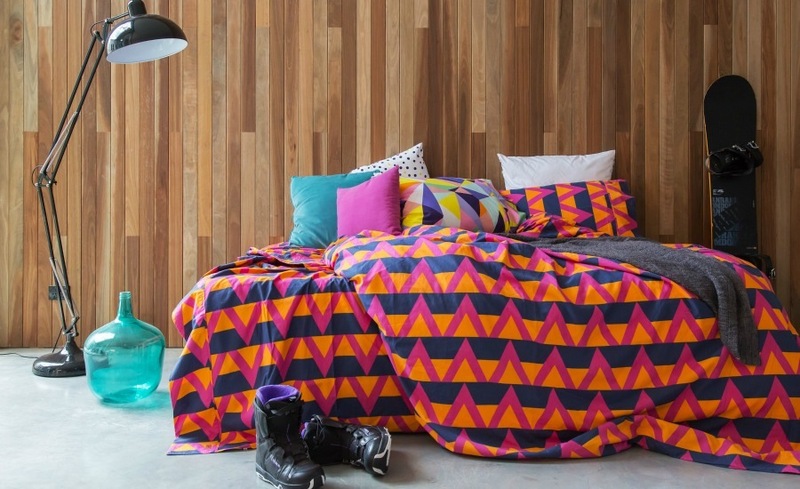 Try this colourful geometric print set from Siesta Home, which comes as a duvet, pillowcase and fitted/flat sheets. If you want to tone it down, then go for a pillowcase and sheet in a matching or contrast colour, like the image above. For those who want something a bit more masculine, take a look at this Hey Honey! set from Miss Bettina, featuring a reversible honeycomb pattern, with one side being black and white and the other a marble-effect twilight navy. A chic simplistic design to suit a more unisex style for your boudoir. One of my favourite things to emerge out of this trend is fringe and tassels. 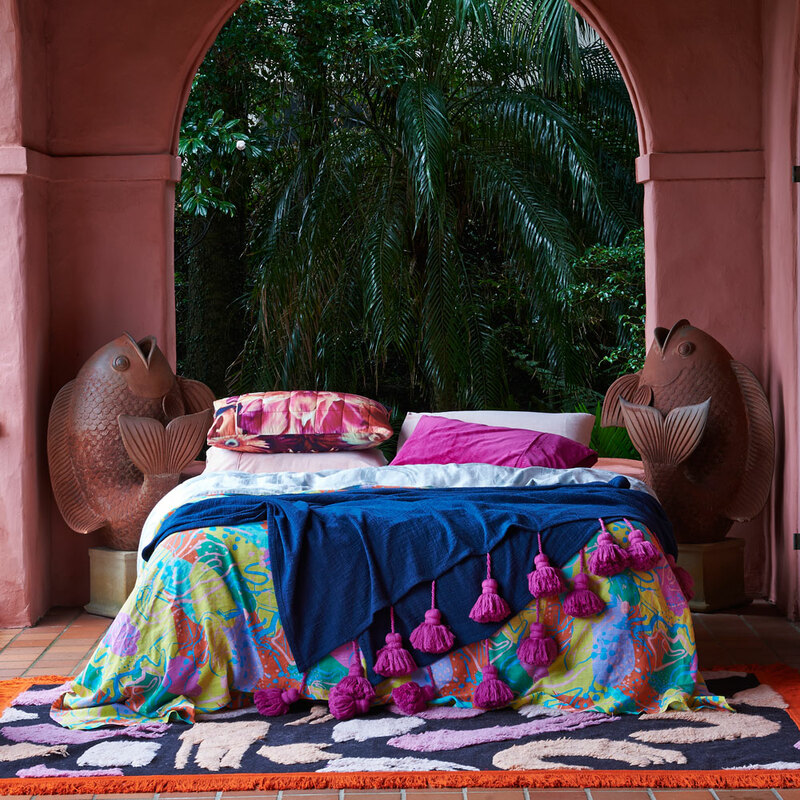 Give in to the eclectic vibe and fall in love with this fuchsia tasseled throw from Kip & Co t. It comes in a range of colour combinations, such as aqua and marmalade, emerald and lilac and mustard and peach. What bold bedlinen have you come across on your travels? Share your faves in the comments below!